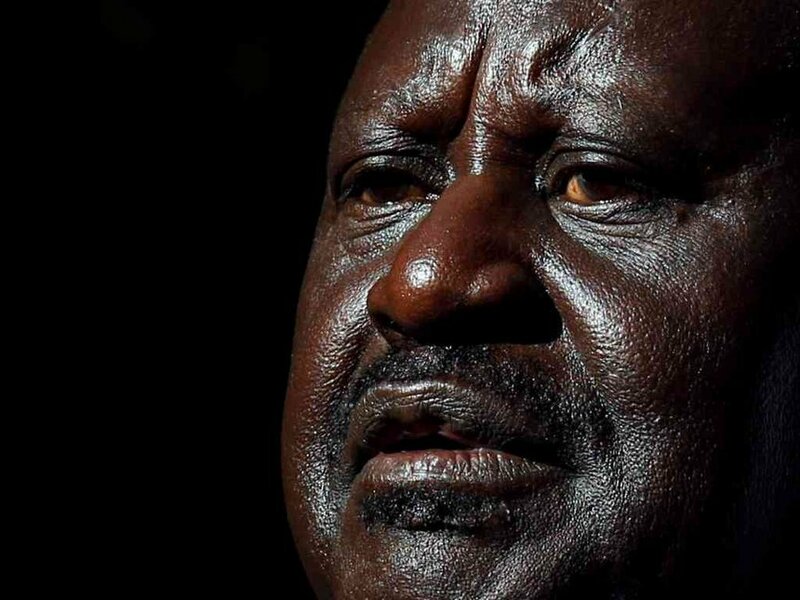 Home EVENTS NEWS RAILA'S FULL SPEECH ON THE "BIG ANNOUNCEMENT". For the third straight election in a row, the voice of the people has been stilled, and for the third time in a decade, the candidate who lost the election has been declared President. This year, Kenyans excitedly voted in a peaceful election that even the most democratic nations in the world would have been proud of. But this democratic promise abruptly evaporated when those who wield power clung to their old, no-holds-barred script of rejecting the people’s democratic will and holding on to their rule by whatever means. Once the polls closed last Tuesday, the IEBC began streaming so-called provisional presidential results not backed by Form 34As as required by law. Yesterday, IEBC CEO Ezra Chiloba finally made the stunning admission that the Commission was not able to supply all Form34As yet. This means that both the provisional and final results announced last week are null and void and that Uhuru Kenyatta was not lawfully declared winner. From the start, the IEBC was illegally releasing unverified results to create the expectation of an Uhuru Kenyatta victory. This was the equivalent of guaranteeing violence if the final verified results indicated Uhuru had lost. Then there was the bizarre phenomenon of Uhuru Kenyatta’s “lead” staying at around a consistent 11 percent throughout the release of the “results!” surprisingly, this same pattern also occurred in many gubernatorial races across the country. Such a fixed margin has never been maintained throughout any democratic election anywhere in the world. But it happened here because an algorithm had been introduced to rig the outcome. It happened in full view of all our people and all the election observers. Then finally, at midnight last Friday, we saw the IEBC announce that Uhuru Kenyatta had been elected president, even though the Commission continued to acknowledge that only about 29,000 of the 41,000 verified Forms 34As had been tallied! Why was there this fanatical rush to judgment on the most vital matter that any democratic nation EVER faces, the election of its President for the next five years? And why did the IEBC refuse to address the set of questions about vote tallying that that NASA had submitted? IEBC might have declared Uhuru Kenyatta president, but a vast number of Kenyans have not accepted the legitimacy of the decision, and will not accept it until they have answers to profoundly disturbing questions that have been raised. Indeed, the Carter Centre, in its preliminary findings has questioned this rush and its overall impact on the outcome. The Centre says: "Although election day voting and counting processes functioned smoothly, the electronic transmission of results from the polling stations to the 290 constituency centers, where official results are tallied, proved unreliable. Unofficial results were also transmitted to the national tally center, where they were posted on its website. Unfortunately, the early display of vote tallies at the national level was not accompanied by the scans of polling station results forms as planned, nor labeled unofficial, leading to some confusion regarding the status of official results." No one should believe, and especially not those behind this election fraud, that Kenyans are sheep who will willingly go along with democracy’s slaughter. This country is now divided between those prepared to live under autocracy and the forces of freedom and democracy. Most Kenyans do not agree that our democracy is a charade, a game, in which people campaign their hearts out for leaders they want, but are then given a winner pre-determined by the darkest forces in our society and beyond. We also have the no less bizarre situation where some observers grossly violated their mandate and started calling upon NASA to concede – even before the IEBC officially announced the election’s outcome. We Kenyans will not let such impunity continue any longer. We have the declaration by IEBC of Uhuru as President-elect. The manner in which the Court handled that petition was a travesty of justice. The Court decided all interim applications in favour of Kenyatta. The Court also allowed the counter petition filed in favour of Kenyatta but disallowed the two petitions against him. Uhuru won 100 per cent and we lost 100 per cent in court. Our decision to go to court constitutes a second chance for the Supreme Court. The Court can use this chance to redeem itself, or, like in 2013, it can compound the problems we face as a country. We will show how they shamelessly cooked results from non-existent polling stations and fake un-gazetted Presiding and Returning officers. They gave figures from non-existent Forms 34A and 34B; they scrambled to manufacture such forms; switched vote numbers; and how they openly swindled to reach predetermined consistent vote numbers. They cooked numbers to the extent that vote tallies often surpassed registered voters in polling stations. Kenya is always much larger than my individual ambition. But Kenya is definitely not too large for all of us to ensure that anyone who wins the people’s votes, and not the loser, is declared President. This is just the beginning. We will not accept and move on.